You've made it this far. This alone is a huge achievement but you can't rest are your laurels quite yet. Now you have to find a supplier for your product idea. If your plan is to make your product yourself, you're going to require the sourcing of raw materials and parts. Manufacturing will require factory sourcing. Wholesaling will require making direct communication with manufacturers or with their distribution partners. Finally, dropshipping will require finding manufactures that will dropship on your behalf or by working with a dropshipping distributor. Although each of these methods are slightly different, they all require searching, communicating, convincing someone to work with you and negotiating price and minimum order quantities. In this chapter, you're going to learn exactly what to need to know to locate, contact and negotiate with suppliers. Note: For the purpose of this chapter when we refer to suppliers, we are referring to anyone that has the capability to provide you with products and inventory. This encompasses manufacturers, dropshippers, wholesalers and distributors. 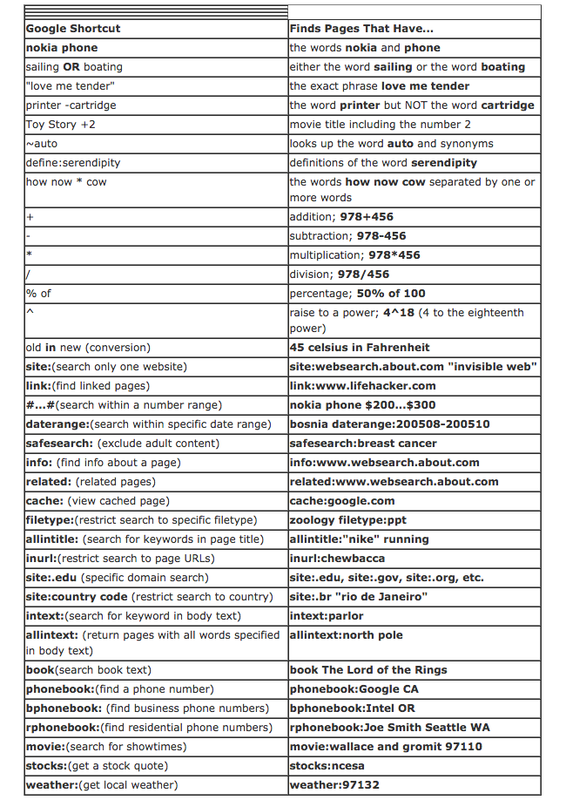 There are a ton of helpful resources to be found online just by searching Google. However, before you begin there are a few things you should know and decide upon. First, as we mentioned in the intro to this chapter, you need to determine which type of supplier you're looking for. This will help determine the terminology you need to use in your research. The next step is to ask yourself if you want to source your products domestically or from overseas. Overseas sourcing can refer to any country overseas but typically refers to Asian countries like China, India and Taiwan where cost of production and therefore product, is generally much lower. Now that you have a better idea of exactly what you're looking for, as well as the advantages and disadvantages of domestic vs. overseas sourcing, it's time to begin searching for your supplier. Naturally, the internet will provide a great source of information but there are a few places in particular that can help with your search. Search engines like Google and Bing are naturally the best place to start. We are accustomed to easily being able to do a search and generally finding what we are looking for on the first page. However, many suppliers haven’t kept pace with the internet and the constantly changing rules of SEO. Their websites are usually old, sparse on information and most certainly are not search engine optimized. This means you will likely have to dig a little deeper to find what you're looking for. So how do you find suppliers on Google and Bing? For the first time ever, you’ll need to explore pages 2,3,4,5 and beyond of your search results. You'll also need to try a variety of search terms. For example, words like wholesale, wholesaler and distributor may be used interchangeably so you should search for combinations of all of them. You may also want to consider dusting off your library card and head out to your local library. Most libraries pay monthly subscription fees for online business and manufacturer directories that you normally wouldn't have access to like the Scotts Online Business Directory. Directories contain profiles for hundreds of manufacturers, wholesalers and distributors in North America. Note: Make sure to give your local library a call ahead of time and ask them if they have access to these types of paid private directories. For larger libraries, you may need to chat with the business & technology department. Referrals can sometimes be your best source for leads. Social networks have made it much easier to get the word out so make sure to use these channels and ask friends, family and your network for suggestions and introductions. LinkedIn in particular can be a big help in your search for a supplier. Try searching for people in the industry your are considering entering and ask them for referrals to suppliers. Additionally, niche specific forums are also great places to ask for referrals to suppliers. Reddit in particular has a subreddit for almost every niche you can imagine, so make sure you make a pit stop there. As you start to uncover suppliers, even if they aren't the right fit for you, be sure to ask them if they can point you in the right direction. Being in the industry means they will likely have great contacts. Many times, if they aren't a good fit for you, they will be more than happy to refer you to someone that might be a better fit. Beyond searching for your products by their name, you can also try searching for your products it's NAICS code. NAICS is the North American Industry Classification System, and pretty much every single industry and product you can think of has a NAICS code. Sometimes manufacturers and suppliers may list their products by the NAICS code which can make your product manufactures and suppliers easier to find, especially if you're using professional directories. Requesting a quote (many times referred to as a RFQ, Request For Quote) is a relatively simple process, however, taking a few extra minutes to plan your email can make a significant difference in the number and quality of replies you receive. What is your minimum order quantity? - Also referred to as a MOQ. You'll want to make sure their minimums are manageable for you and that you can afford them. This minimum order quantity can vary wildly depending on the product and the supplier so it's important to ask upfront. Keep in mind, minimum order quantity is almost always negotiable. What is your sample pricing? - You'll likely want samples to inspect before making a full order. Sample pricing ranges, depending on the product and supplier. Some suppliers that receive many requests may change the full retail pricing, others will offer you samples at a discounted rate, and some may even send you samples for free. What is your production pricing? - One of the most important questions is how much your products cost per unit will cost. You’ll probably wan't to ask for pricing for several quantities to get a sense of if and how they do discounted pricing at higher quantity levels. What is your turnaround time? - Knowing how long it will take to produce your order is an important consideration and depending your exact business, time can be critical. What are your payment terms? - Many suppliers will require new businesses to pay for the full order upfront. This is important to know since inventory is a major cost for ecommerce startups. You may want to also ask if they provide payment terms on future orders. A lack of supplier responsiveness is a common complaint from new ecommerce entrepreneurs. The most common reason suppliers don't reply is because many suppliers get bombarded with email quote requests all the time from flaky buyers that are just ‘kicking the tires’. Because of this, they simply don't have the time to reply to all requests. Email From Personal Email- Remember, suppliers receive lots of requests. Because they invest time into replying to your email, they are looking for signs that you're real potential lead for them. Emailing them from ilovebritneyspears@hotmail.com is a surefire way to not receive a reply. It may cost a bit of money, however, purchasing a domain name and even setting up a very quick landing page with a service like Striking.ly can go a long ways in making your look more qualified in a suppliers eyes. Long emails - Your first email to a manufacturer should be clear and concise. Avoid telling too much about your story and background. The first email should be purely to assess potential fit at a high level. Focus on what suppliers care about the most like the details of what you’re trying to source. Asking for too much - Requests aren't always easy for the supplier to produce. It's important to ask for a few prices for multiple quantities, but avoid asking for too much or too many quotes. Stick to asking for what you absolutely need to assess fit between you and the supplier. Asking for too little - If you ask for a quote well below the supplier’s minimum order quantity (MOQ) you risk being met with silence. Sometimes it's better to request quotes for a larger amount to begin the email communications. Finally, if you're contacting a supplier from overseas, keep in mind that in many cases, they may be using a translation program like Google Translate to translate your email as well as their reply. Keeping your emails short, concise, well formatted and spelling error free will not only help the manufacturer but it will ultimately provide you with better replies. When asking your questions and formatting your email to suppliers, especially to overseas suppliers, it's best to number your questions so that they can easily reply to each number, keeping the questions and communication clean and organized. My name is John Doe and I am with XYZ Company. 1. What is your minimum order quantity? 2. What is your cost per unit and at what quantity levels do you offer quantity discounts? 3. What are your payment terms for new customers? As you can see from the sample above, it's short, concise and it's goal is to make sure at a high level that there is a fit between both parties. If you're looking for a supplier for the first time, you're going to quickly learn about ‘Minimum Order Quantities’ (MOQ’s). Minimum order quantities will largely depend on your product, the industry, your supplier and whether you're manufacturing the product, wholesaling or dropshipping. Typically, if you are purchasing good wholesale for resell, minimum orders can be anywhere from a few units to a few dozen, sometimes more. If you are dropshipping, there is generally no minimums because you aren't purchasing inventory upfront. If you are manufacturing your own product, minimum's are almost always the highest and can range from a few hundred to a few thousand. MOQ's make it difficult when you have limited funds, or simply want to play it safe by starting small to test the market before making larger purchases. The good thing is that MOQ's are almost always negotiable. Before you begin negotiating, the first step is to understand why the supplier has a minimum. Is it because there is a lot of work upfront to tool the machines? Maybe it's because they just prefer to work with larger buyers. Regardless, understanding the reasons behind the manufacturers minimum will help you better understand their position and will help in your negotiations. Once you have a better understanding of your suppliers position, you can ask for a lower order quantity. Compromises can include giving the supplier a deposit for a larger order, but just producing small amounts at a time or paying a higher price per unit. Sometimes, just asking for a break on your first order may be enough. Tip: One particularly effective method for negotiating a lower minimum order is to ask for a break on your first order so that you can use the money saved to put into marketing their product. This makes the supplier feel that you are more committed to selling their product. Sourcing a supplier for your product is a unique process and a new experience for many first-time entrepreneurs. Although sometimes it can be a frustrating and a time consuming experience with many dead ends, choosing the right supplier for your business is a critical decision and one that you shouldn't rush. It's easy to get frustrated when you hit dead ends, but in most cases, it just requires a little more patience and perseverance to find the perfect partner for your new business.